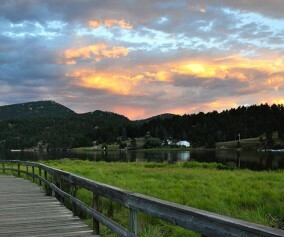 This park in Evergreen, Colorado is a family favorite of some of our good friends. They have two young daughters and love to hike Alderfer and Three Sisters. The park has so many trails that the network can get confusing, so download the Alderfer trail map or pick one up at the trailhead. 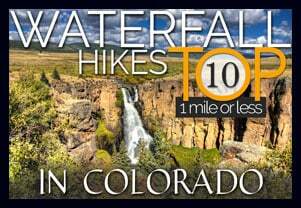 Scroll down for more information on this hike in the foothills of Colorado. Alderfer Three Sisters Park has an East and West Trailhead. Alderfer and Three Sisters Park has everything from short, pleasant strolls for the family to more strenuous climbs and a long loop hike. 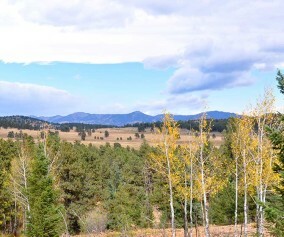 A Short Family Like: The Wild Iris Loop (.6 mile loop) is a tame stroll through mountain meadows and can be easily accessed from the west parking lot. 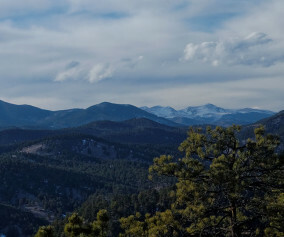 Two hikes that are more strenuous will take hikers to summit views: Evergreen Mountain East Trail, and the Sisters Trail. The Sisters trail may be the most difficult and most enjoyable in the park. 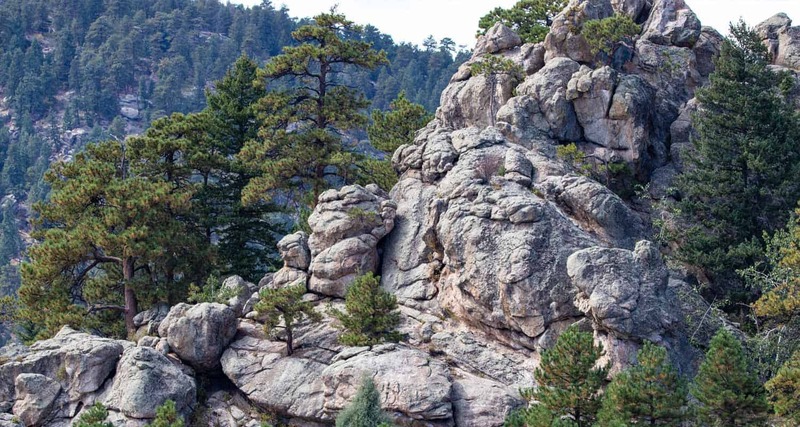 The trail takes you up through three, unusual rock outcroppings and to views down into the quaint town of Evergreen. A 10+ mile loop hike can be created by hiking the trails that follow the outer rim of the park. Because the park has so many trails, it’s advisable to download the Alderfer Three Sisters Park Map (see link in the above trail snapshot). There are so many options that you’ll find it easy to create a hike custom to your visit. TIP: Take a hike to the Brother for a great panoramic view and a place to take pictures. Photo: We would like to express our gratitude to Peter Lyons for sharing such an amazing photograph of this hike. It’s amazing how many trails they were able to fit into this great little park. I recently did the Sisters Trail, including the Brothers Lookout and the bit of Ponderosa Trail that connects them. The Sisters Trail alternates between easy and moderate, with the official park map describing parts of it as “strenuous”. I would describe myself as moderately fit and I did not find myself huffing and puffing at any point on the hike. If you like to scramble, the Three Sisters rock formation provides some fun Class 3 climbing and rewards you with a 360 degree view of the area. The Brothers Lookout is a short, easy to reach point from the parking lot and affords a good view of Evergreen. Other things to note include trash cans, well maintained pit toilets, clear and easy to spot trail signs and a large, easy to read map of the trails in the paved parking lot. Overall, a great park to spend the day in if you want to escape the city and be surrounded by trees and mountains. Three Sisters is one of my favorite hikes near Denver. There are many trail options that are family friendly and provide gorgeous views of the surrounding mountains and valleys. 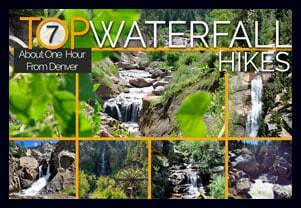 I would suggest this site for hikers of all levels who want to enjoy Colorado’s beautiful mountains without having to drive very far.I always encourage friends from out of town who want a nice hike to start there. One thing to note though, is that on weekends the trails can get pretty busy, so if you like to hike in complete solitude, this may not be the place for you. 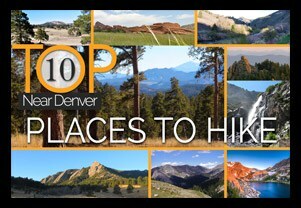 With that said, it’s one of the less crowded hiking spots that I’ve hiked that is easily accessible to Denver. AM, so get there as early as you can! Will definitely go, thanks to this site for a great spot.